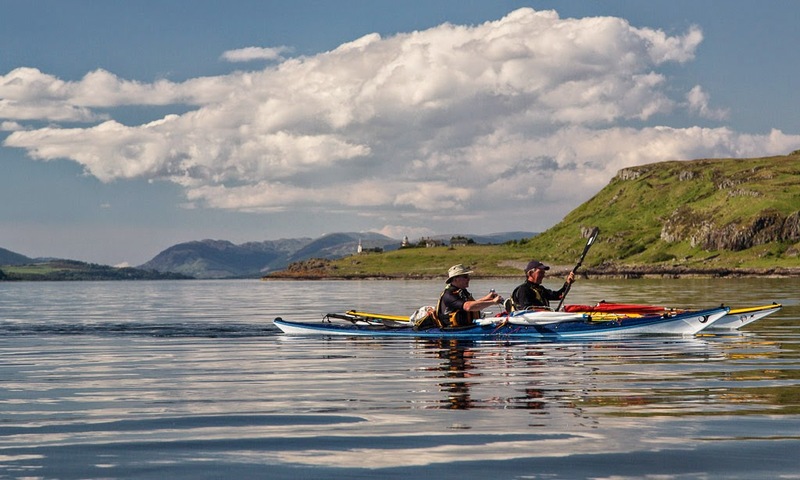 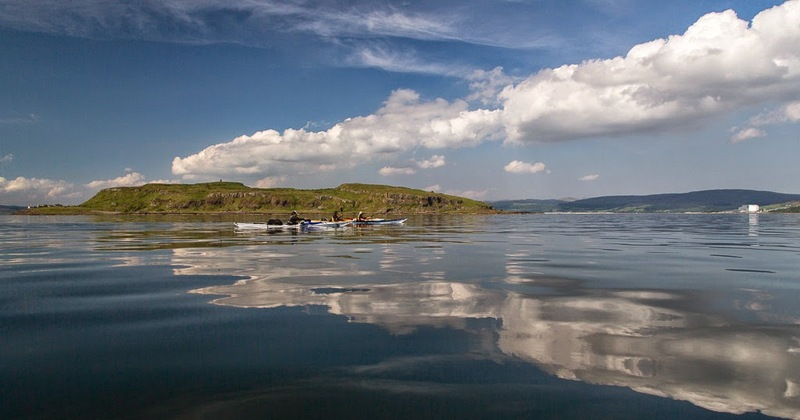 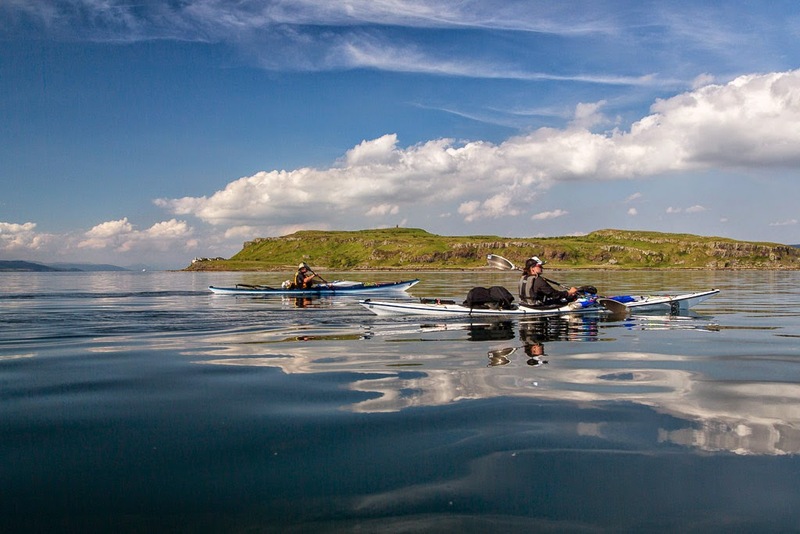 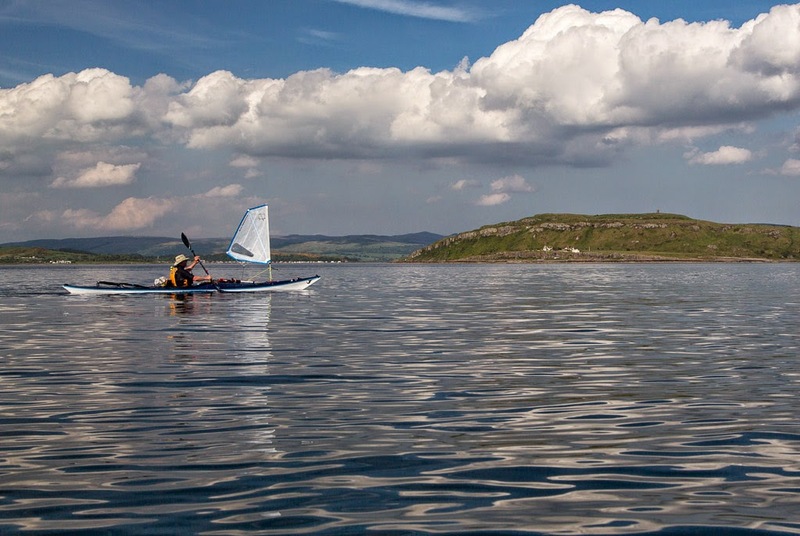 Sea kayaking with seakayakphoto.com: The clarity of light and reflected clouds at Little Cumbrae. 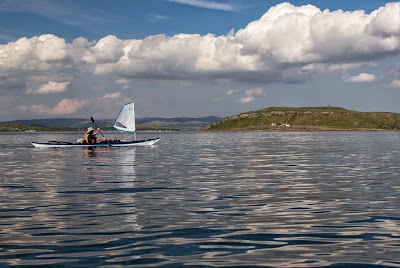 ...the reflections of clouds gently rolled on the gentle swell. 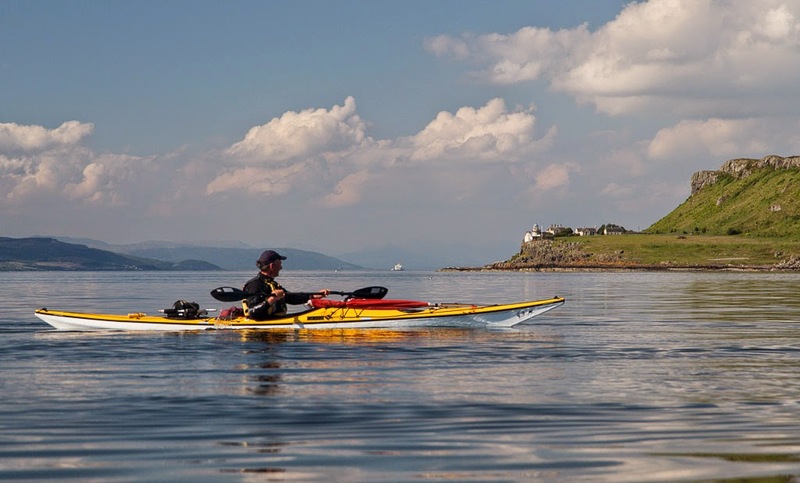 It was 5pm and the sun was well round to the west, which gave a wonderful light on the south west side of the Little Cumbrae. The Stevenson lighthouse was clearly illuminated as was the distant PV Audacia and accompanying tug Battler. 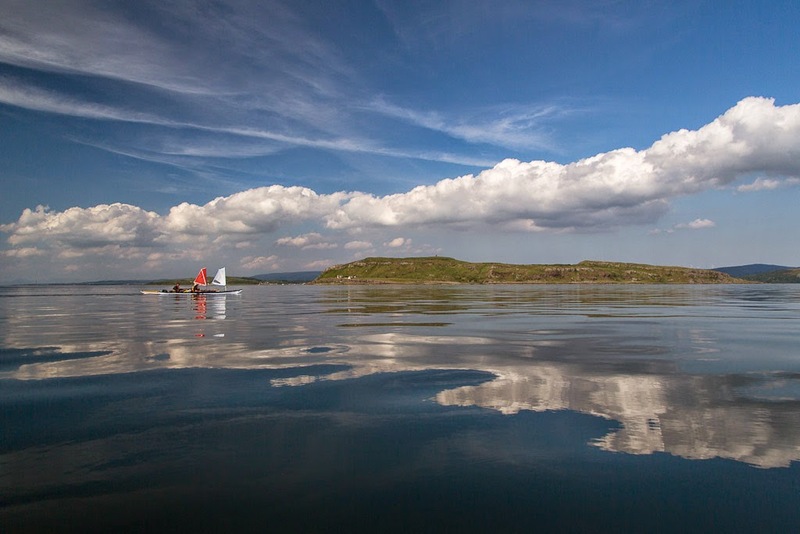 Audacia is a 225m pipe laying vessel. 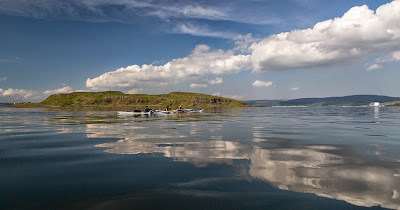 The clarity of the evening light added to the sharpness of the reflected clouds which lined up over the Little Cumbrae. 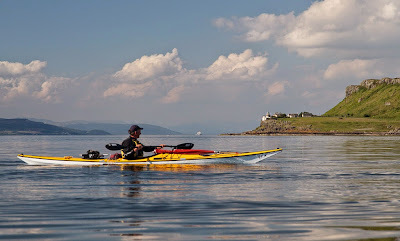 As we passed the south end of Little Cumbrae we embarked on the second last leg of our trip, the crossing of Fairlie Roads to Farland Head on the Ayrshire coast. 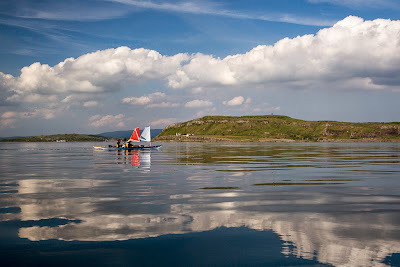 Fabulous second image Douglas - calendar material? !